We are a home appliance service company, providing quality repair and maintenance services to residential clients in the North Atlanta and surrounding areas. Our expert technicians are dedicated to working for you and providing first class repairs as well as assuring you are 100% satisfied with our work. Our goal at Apex Appliance is to provide customers in the metro Atlanta area with a fast, reliable and honest service that is done right the first time. We have an excellent record of satisfied clients which you can see on our testimonials page. We always thoroughly explain any cost for repairs that need to be done to service an appliance before we proceed and perform the repair. Also we will gladly answer any questions or address any concerns that our customers have. We take pride in doing honest reliable repair jobs, being on time and professional in our approach. We appreciate our repeat customers and welcome new ones thankfully. 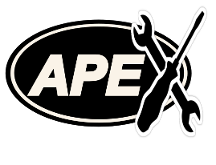 Thanks for your interest, we hope you choose Apex Appliance Service LLC for all your repair needs in the Atlanta area.